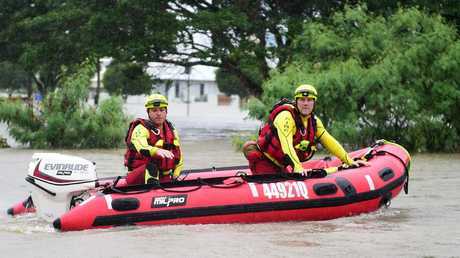 DOZENS of people braved the deluge on their private boats as they searched for stranded residents and their pets to ferry them to safety. 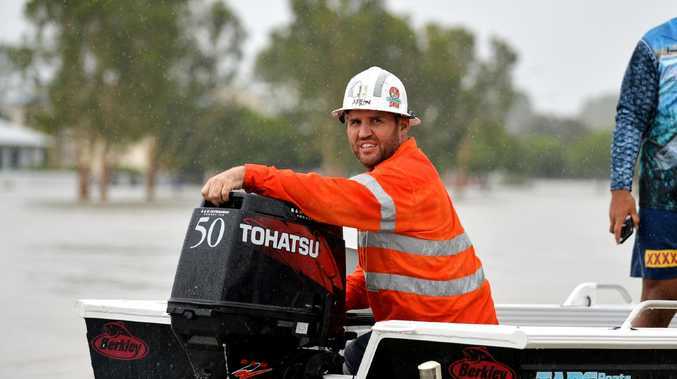 Tinnies launched from Stuart Drive and powered through strong currents as floodwaters inundated the suburbs of Idalia and Oonoonba yesterday. Idalia resident Vivienne Moss yelled and waved to grab the attention of a passing boat after previous SES crews bypassed her home on Sunday night. "These guys, what a godsend what a blessing it's just fantastic," she said. "This is the last thing I expected, I did not expect this. I just thought, I'll have to wait all day till the SES turns out and in the meantime I'll just keep sweeping the water out of my house. "It's fantastic, an answer to a prayer." The two strangers helping her, waded through muddy waters to retrieve her belongings and place them onto their boat. Ms Moss was "devastated" her home had been destroyed after only having lived there for a year, she hung up on her son to flag down help. "I spent the night on my own. I just had a few drinks and went to bed because I realised there was nothing I could do," she said. "I did attempt to be rescued no one turned up and it got dark so I realised I was going to be here all night. "I just buckled down, such as life." After evacuating Ms Moss from her home, her rescuers dropped her off to a larger boat taking people back to safety. The men who wished to remain unnamed, remarked how "terrible" the sight was. "I just want to help people … it doesn't feel right that my home is OK in Douglas," one of the men said. Travelling past houses, Army vehicles and cars submerged in deep waters, their next rescue was further up the flooded river in Idalia.